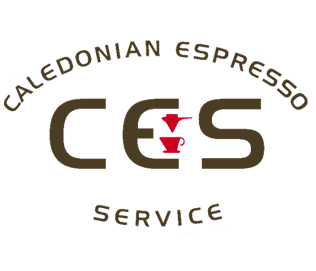 Magister Sistema Caffe' is a young company started in 1997. It was created by a group of managers and engineers who after working for several years for other machine manufacturers, decided they had the ability and knowledge to produce their very own machine using all the best bits from each persons experience. 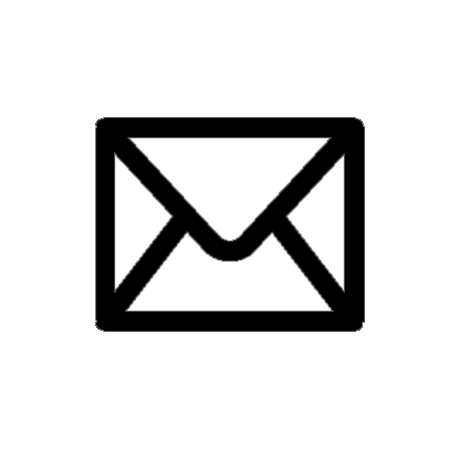 Now producing thousands of machines per year, CES became an official distributor in 2016 and have had great success in placing these machines throughout Scotland. We have found them to be very reliable, easy to service, user friendly and in gloss red, aesthetically pleasing. Our best selling two group Magister HRC comes with these standard features. 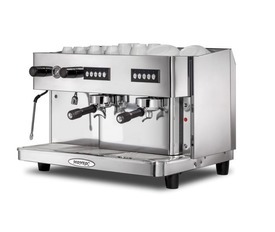 High groups, powerful twin swivelling steam arms, generous hot water delivery and automatic touchpads. 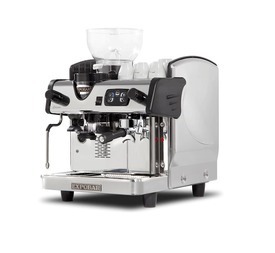 Options include cool touch steam arms, digital display, auto steam wand plus many more. Colours available - Gloss white and Black. All come with polished stainless steel lid, drip tray and side panels. 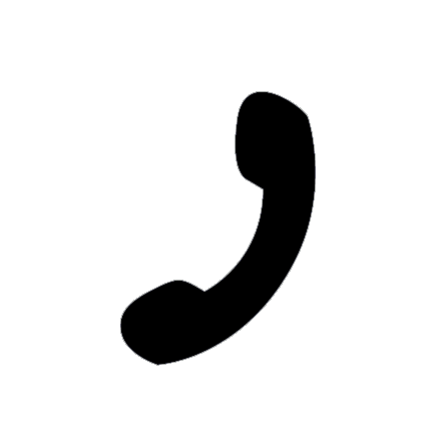 Services required - 20 amp single phase electric, mains cold water terminated with a 3/4 stopcock and an open ended mains trapped waste with upstand. Dimensions (mm) - 795w X 535d X 500h. The Zircon Plus with integral automatic grinder is a compact, space saving machine producing up to two coffees at a time. 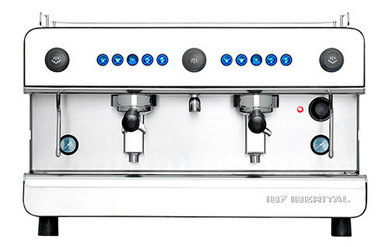 It is equipped with a swivel steam arm, hot water tap and automatic touchpad. The dimensions of this machine mean it can sit anywhere. Larger version of the one group boasting a second automatic head, twin steam arms, hot water and the auto grinder. Finished in silver and black and it only needs 13 amp power. This is a great machine. 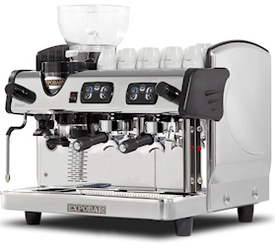 Note: UK spec Expobar 2 group machines come with two steam arms. A 2 group automatic machine with raised heads, twin stainless steel steam arms, hot water, digital display finished in silver and black. Functional, reliable and built to last. This would be a great addition to any outlet. Other sizes available. Nice little entry machine. One steam, one hot water and two auto touchpads. 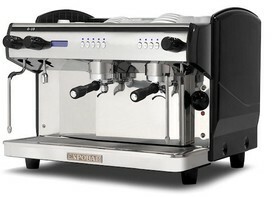 On offer at £1498.00 + vat. A compact two group machine with raised group heads. An excellent space saving espresso machine. Barcelona based Iberital started out as a small company manufacturing spare parts for other brands of machine. 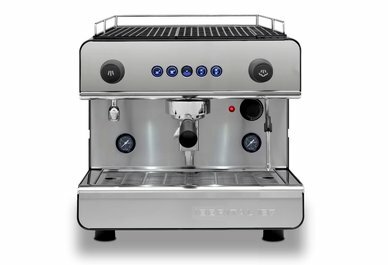 Over the years, they realised that with their deep knowledge of materials and electronics, they were in a position to build their own espresso machines and grinders and distribute them around the world. They now export to more than 60 countries around the globe. Being hand built by real engineers, they have allowed the machine to be easily and quickly opened up and serviced. This means minimal downtime for the user. The new IB7 range from Iberital is a modern, clean, crisp addition to this very successful brand. Taking over from the previous model, the Junior, the IB7 has proved to be even more reliable and desirable. 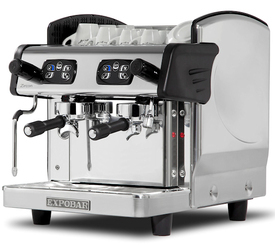 Finished in silver and black with the addition of the blue touchpad buttons, this machine looks good in any setting. CES have been working with Iberital for over 15 years now and we know how reliable these machines are. The build quality is there, faultless electronics, readily available spares, easy to maintain and being cheap to run all go towards making the IB7 an excellent choice for your business and a machine that you will be proud to show off. All IB7 models are available with custom paint jobs - up to 1000 diffetent colours and styles or can be vinyl wrapped in your own colour, business logo, and even tartan!! The IB7 1 group is available in standard height or the takeaway version. With a small foot print, large boiler, one steam arm and one hot water arm plus independent pressure gauges and automatic touchpad, this is a cracking machine suitable for all locations. Completing the fresh, clean look are teh blue backlit touchpads and LED downlights. The IB7 range looks outstanding anywhere. Look at the IB7 catalogue here. The two group version boasts all that the single group does but adds another automatic group head, another swivel steam arm, bigger boiler and a huge cup heating area. An excellent machine. Also available in 3 group form. The Delta is the latest addition to the family. It comes in 2 or 3 group form with raised group heads as standard. 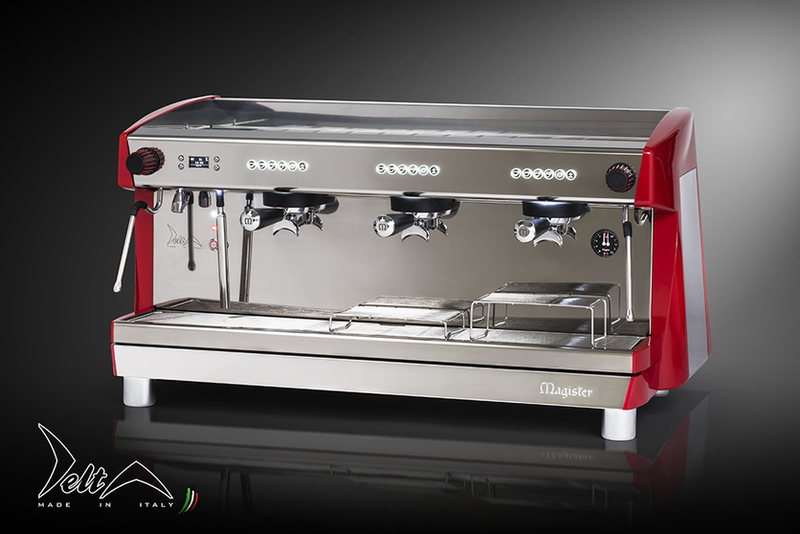 The integrated display shows information such as date and time, temperatures, brew times, service schedule and so on. The list below shows how she comes.